AKRON, Ohio -- The Cleveland Indians have announced the organization's Minor League managerial and coaching assignments for the 2013 season, and the Akron Aeros will welcome a completely new field staff as the team defends its 2012 Eastern League title. Veteran manager Edwin Rodriguez has been named the new skipper of the Aeros, becoming the team's 14th manager since the franchise relocated to Canton for the 1989 season. Rodriguez will be joined on the staff by hitting coach Jim Rickon and pitching coach Greg Hibbard. Chad Wolfe will return as the team's trainer. Rodriguez replaces Chris Tremie, who was promoted to Triple-A Columbus. Tremie managed the Aeros the last two seasons, including 2012, when Akron led all of Double-A baseball with an 82-59 regular season record and won the team's fourth Eastern League championship. Former pitching coach Tony Arnold will accompany Tremie to Columbus, while last season's hitting coach, Rouglas Odor, will assume the same position at Class A Advanced Carolina. 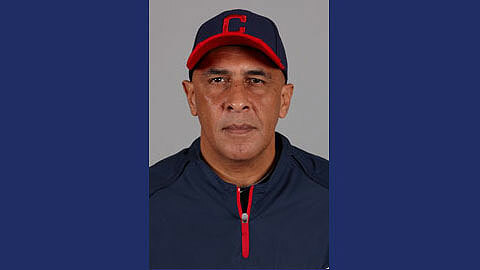 Best known for being the first native of Puerto Rico to manage in the Major Leagues, Rodriguez will be starting his second season in the Indians organization. He served as manager at Class A Advanced Carolina last season, leading the Mudcats to a 63-77 record. The upcoming spring will be a busy one for Rodriguez. In addition to his Indians and Aeros duties, he will also be the manager for the Puerto Rican national team in the World Baseball Classic, which is scheduled to be played March 2-19. Rodriguez, 52, was named the manager of the then-Florida Marlins on June 23, 2010, replacing Fredi Gonzalez. He remained in that position the rest of that season, leading the Marlins to a 46-46 record. He was named to the position for 2011, but resigned in the midst of a nine-game losing streak on June 19, 2011. Overall, Rodriguez had a 78-85 record during his tenure with the Marlins. Prior to his elevation to the Major Leagues, Rodriguez served as a scout, coach and manager in the Twins, Rays and Marlins organizations. As a player, he was selected by the Yankees in the 1980 Draft, and spent parts of three seasons in the Major Leagues with the Yankees and Padres. He appeared in 11 Major League games as a player, collecting five hits and an RBI at the big league level. Ironically, Rodriguez made his Major League debut in Cleveland on Sept. 28, 1982, as the Yankees beat Rick Sutcliffe and the Indians, 6-4, before 5,017 fans at Municipal Stadium. Rodriguez was 0-1 in the game, after taking over at second base for Willie Randolph. Rodriguez was born in Ponce, Puerto Rico, on Aug. 14, 1960. The 2013 season will be his 33rd in professional baseball. Rodriguez shares his vast baseball knowledge on the Spanish-language baseball training website www.hitboricua.net. The site is geared toward players, parents and coaches, and includes sections on each position. It also covers a range of other issues including baserunning, mental aspects of the game, scouting and scholarships. Rodriguez will be assisted by hitting coach Jim Rickon. A native of Northeast Ohio and current resident of Hudson, Rickon will be entering his 14th season in the Indians organization. He has been part of two Minor League championships as a coach, in 2004 with Mahoning Valley and in 2006 at Class A Advanced Kinston. Before beginning his professional career, Rickon was a student athlete at Maple Heights High School and Cleveland State University. Although new to the field staff for 2013, pitching coach Greg Hibbard is no stranger to Canal Park. During his 10-year career in the Indians organization, he has served as the Aeros pitching coach in 2004, 2007 and 2010. Last season, he mentored the young arms at Class A Short-Season Mahoning Valley. Hibbard, 48, enjoyed a six-year Major League career with the White Sox, Cubs and Mariners, going 57-50 in 165 career games. The left-hander pitched collegiately at the University of Alabama before being taken by the Kansas City Royals in the 1986 Draft. The Akron Aeros are the Double-A affiliate of the Cleveland Indians. During the 2012 season, the Aeros had the best regular-season record in all of Double-A baseball and won the Eastern League Championship for the fourth time in team history. The team will begin its 17th season in Akron on April 4, 2013, with a 6:05 p.m. game against the Binghamton Mets at Canal Park. For more information, please call the Aeros at 330-253-5151 or visit www.akronaeros.com online.